Founded in 1831, Gottfried Wilhelm Leibniz Universität Hannover (LUH) today is study and work place for around 26.000 students and more than 300 professors in the natural sciences and engineering, the humanities and social sciences as well in law and economics. Th e L3S Research Center is a joint research institute of several universities in Lower Saxony, Germany formally associated with LUH. Work at L3S focuses on innovative and cutting-edge methods and technologies for Web Science, a key topic for the European Information Society, investigating the Future of Information and Communication in the Web Age. Projects investigate innovative scenarios and solutions in the Web Science areas of Web Search (especially entity-centric search), Web Information Management (including semantic technologies), and the Web of People (including personalization and Social Web solutions). The L3S team builds upon technologies and approaches from various areas such as Information Retrieval, Machine Learning, NLP, Semantic Web and Distributed Information Systems. L3S investigates the topics of the Web and Social Web analysis, event- and entity-centric access to information in various European and national projects including the ERC Advanced Grant Alexandria, Cubrik, Qualimaster, ARCOMEM and LivingKnowledge. Role in the project: LUH will coordinate the Cleopatra ITN and build upon its expertise to work on a selection of topics related to the multilingual data analytics on the Web and temporal Web collections. This is the Website of the CLEOPATRA Project. 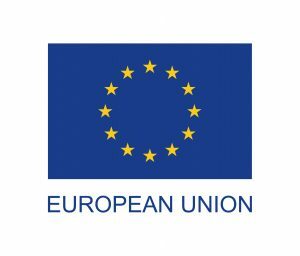 The project has received funding from the European Union’s Horizon 2020 research and innovation programme under the Marie Skłodowska-Curie grant agreement no. 812997.